Who emigrated from Poland, when, why and where. 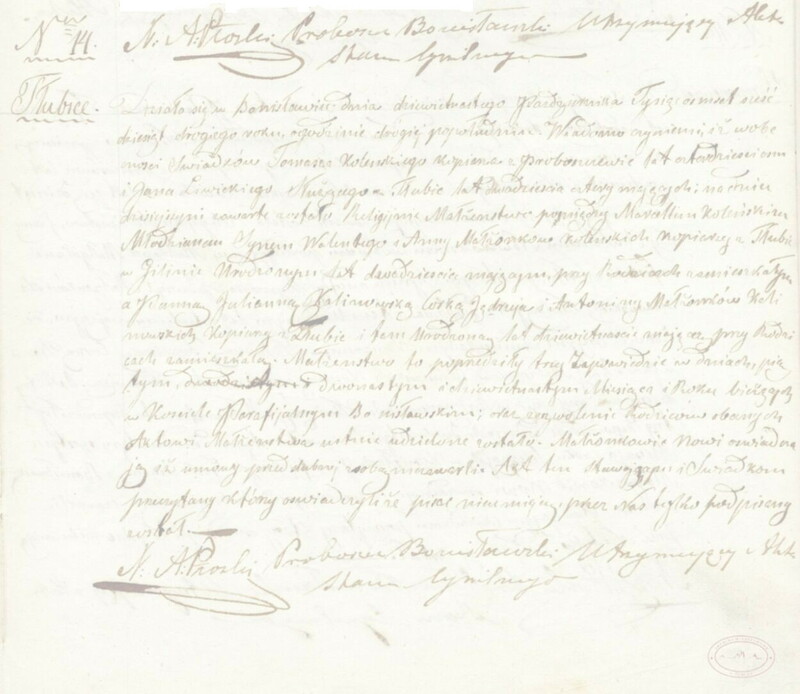 Who are we looking for in genealogical research in Poland? In the recent years we can observe growing interest to know more about our roots. It is a trend throughout the world. Recently more attention has been given to the countries very rich in information which for many years had not been accessible or so it was thought. Poland is one of major such sites being home to the native inhabitants and many immigrant groups for centuries. In all groups described below often the first research question asked is to establish where the ancestors were from in Poland, often this information has not been retained by the descendants even though it can be found if relevant documents, which may have this information, are inspected. These immigrant groups included the Jews, Dutch Mennonites, German Lutherans, Armenians, Muslim Tartars, Greeks, Ruthenians/Ukrainians, Russians and also many dissident religious groups from all over Europe. They greatly contributed to creating a very rich and diverse society of Poland. Complexity and complications of maintaining this diverse country and society over the centuries led representatives of all ethnic and religious groups as well as all strata of the society to keep emigrating from Poland. It did not happen all at the same time but it became more frequent after the dissolution of the country (in three subsequent partitions of Poland) by 1795. First to leave were the inhabitants of western Poland, then southern, south-eastern, central, eastern and north-eastern Poland. Poland between then and now has been among the largest providers of immigrants to many countries many times in history. Motivations were many. In the 19th century the former citizens of Poland and their descendants lived in three different countries. For a number of reasons like escaping from serving in armies of the partitioning powers, improving economic situation of families, religious intolerance (the Mennonite religion was banned in Prussia and the only option was to convert or leave the country) or simply determination to try something different in life estimated 3 million people decided to emigrate mainly to the New World (USA, Canada, Brazil, Argentina) but also to some European countries like Germany, France etc. Some people who decided to benefit from new opportunities offered by the new emperors started serving in the administrations of the "new" countries and settled in the heart of Russia, in Prussia and Habsburg Empire (later called Austro-Hungary). Some families were separated from each other then and today one of the objectives in genealogical research is to piece these families together. Descendants of these emigrants today are fully naturalized in the immigrant countries, some may be completely unaware of their Polish roots, sometimes there may be no trace of it, no Polish family name, nothing that would show any sign of a connection. Sometimes the Polish connection is known, sometimes it is a surprise discovery when one starts digging into the family past. Assassination of tsar Alexander II in 1881 (information which is hard to find in the core exhibition of the recently opened Museum of the History of the Polish Jews POLIN in Warsaw, Poland) triggered off persecution of the Jews throughout Russia, including the parts which had been Poland in the past, by his son Alexander III. It shortly became one of the significant driving forces of huge emigration of the Jews from Russia to the U.S. and Palestine at the time. Jews had started emigrating from western Poland as early as the first part of the 19th century. Galicia - south-eastern part of Poland, where poverty was proverbial, was also an area of huge Jewish emigration. This group is very much aware of the Polish connection and many people search for the documents proving their ancestry in Poland. Times of the WWII rid Poland of 6 million (around 20% of the total population of the country) citizens. The Jewish community of Poland was decimated. Majority of the Jews who survived the Holocaust (around 350 000) were in the Soviet Union. Numbers are never exact, but maybe 200 000 repatriated from the Soviet Union to Poland in two waves after 1945. Most of the Jews who returned to Poland emigrated from Poland immediately or over the time. The last big wave of emigration from Poland "encouraged" by the communist authorities of Poland was in 1968. This group does not have the same history after 1945. Some people remained on the territory of the Soviet Union and may have emigrated from there or their descendants are still there, in Russia, Ukraine etc. Some of the research may need to be done in those other countries. Survivors who did know who they were often wanted to forget the past and traumatic experience they had to go through, they had no interest to go back to Poland or research the past. Descendants of the survivors today want to learn about their ancestry. Here we can also find a very sensitive group of war orphans who know nothing about their ancestry or sometimes they know a name of a relative. Sometimes DNA testing may be the only path to follow to attempt to confirm ancestry in such cases. The new political system introduced to Poland in 1945 kept many of the Polish soldiers who had fought in the Allied Forces from returning to the uncertain future at home. They often did not know whether it was safer to stay away from contacting the family in the country - sometimes they were unaware whose safety was more in danger - theirs or their relatives' in Poland. Many of those soldiers came from the territories which after 1945 (although technically several years previously) became parts of the Soviet Union. They practically had no home to go back to (or they would have to go to the Soviet Union). The United Kingdom offered them (and their families) home, also on the territory of the Commonwealth. These families often knew/know their ancestry, but the subsequent generations who were raised as entirely British, Australian etc. may be interested to know more about their roots. The political and social situation which occurred after 1945 caused that in Poland alone it was not safe or proper to dig up one's roots especially if they had something to do with land ownership, any capitalist past, or being Jewish (after 1968). So Poles who were still in Poland coined a phrase 'internal immigration' - which meant that without leaving the country you had to make a mental immigration if you wanted to even think about these things, and it had to be kept private or known to close family. This does not require digging in the past today. However, now in Poland there are many people who were not told by their families or the people who raised them (war orphans) what was their ancestry and they are now interested to learn who they are and where their roots are. Modern genealogy is not only able to trace ancestry - even peasant ancestry - 200-300 years back or more but also offers to connect with the old country, meet the long lost relatives, see old farms or towns from which ancestors immigrated to the new world or other countries in Europe. If you are in one of such situations or have a complicated family history you can turn to ancestral research for help. In "Genealogy services" section I list genealogy services I can offer. However, if your particular ancestral situation is not described here or listed there, you can always check whether I can help.